Does anyone else feel like Easter snuck up on them this year? I can’t believe it’s next weekend! 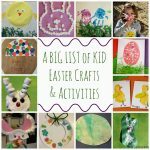 Below are a few fun Easter activities Julie & I have been enjoying with our little ones. 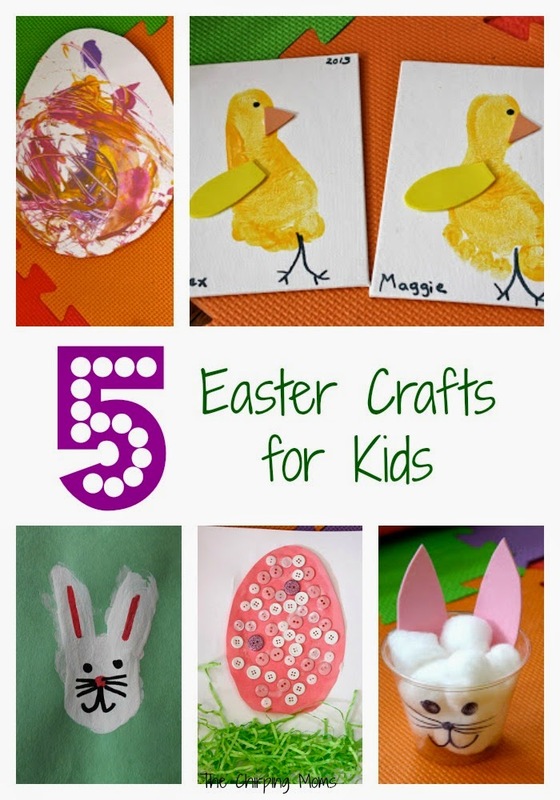 You can also find 5 more fun Easter activities here. 1. 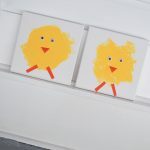 Footprint Chick: Put yellow paint on your little one’s foot to make the footprint. Then use a black marker to draw the chick’s eye & legs. 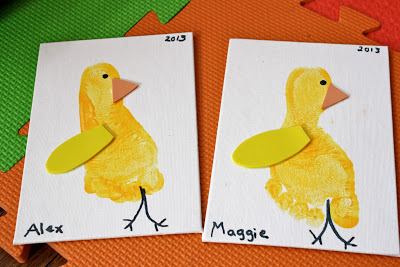 Using construction paper or a foam sheet, cut out a beak & wing. 2. 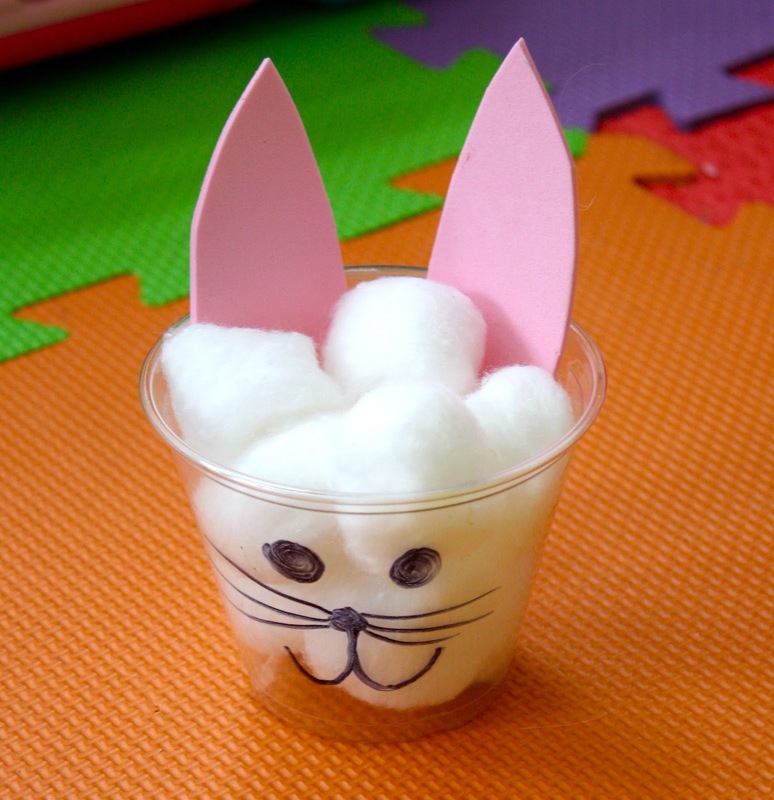 Easter Bunny Counting Activity: Use a black marker to draw a bunny face on a clear cup. Glue a pompom on the back for a tail. 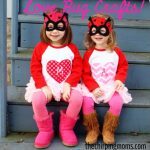 Cut out & glue pink ears using construction paper or a foam sheet. 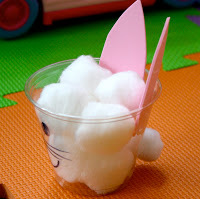 Then fill the cup with cotton balls. 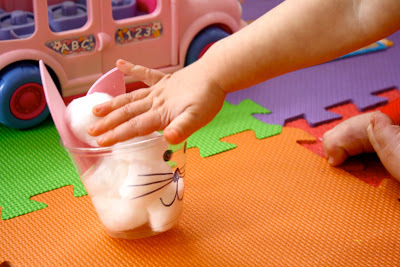 Your child can practice counting by emptying the cup & counting how many cotton balls it takes to fill the bunny. 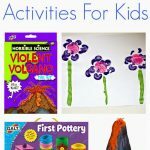 For even younger children, it’s just fun to empty & fill the bunny! You could also use candy instead of the cotton balls & have the bunny cup be for holding treats! 3. 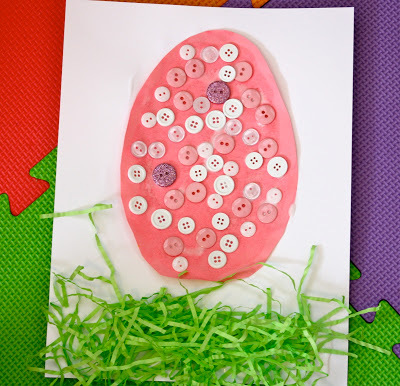 Button Egg: Cut out an egg shape from construction paper. Cover it in glue. 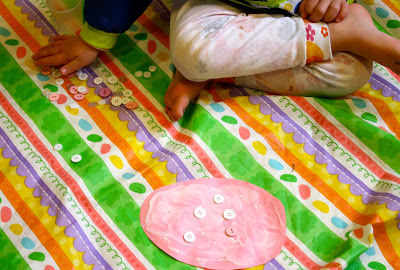 Have your little one cover the egg with buttons. Then, we glued on some “grass” on the bottom. 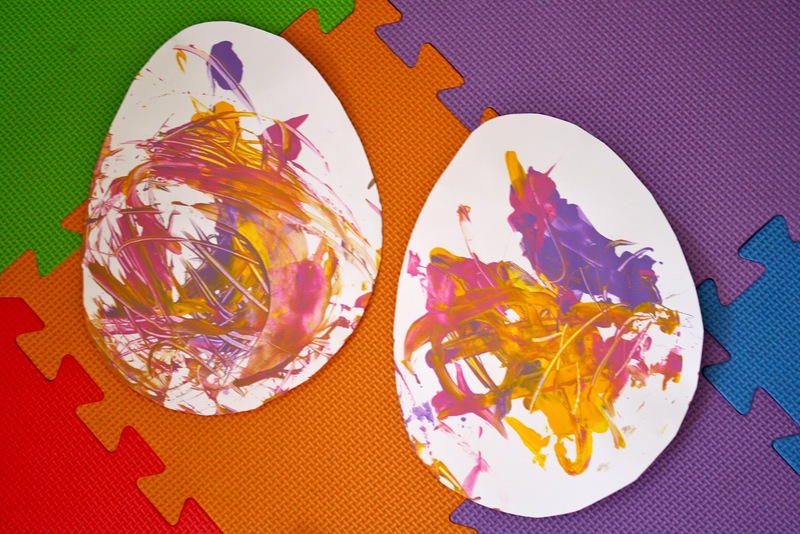 Blown Paint Eggs: Cut out an egg shape. Place dime sized drops of paint around the egg. 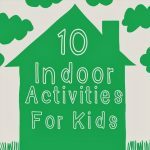 Have the kids blow the paint using plastic straws. They can use the straws to swirl around the paint too! 5. 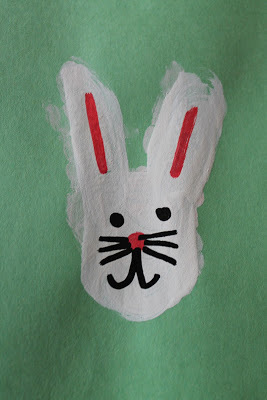 Handprint Bunny: Put white paint on child’s hand (minus thumb). 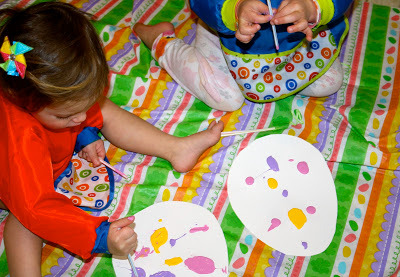 Have child separate two fingers before stamping on paper to make ears. Once dry, add eyes, nose, mouth, and whiskers! Where to Wednesday: 10 Things To Do When It’s Too Cold To Go Anywhere! These are all so cute. I love the little foot chicks!